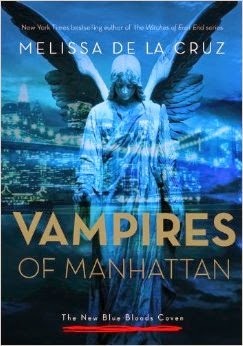 Full disclosure: I have never read any of the Blue Bloods vampire series that precedes Melissa De La Cruz’s new novel Vampires of Manhattan. Did it make a difference? Yes and no. While I know that I missed out on a lot of the back-story for all of the characters, I was still able to follow along and enjoy this trip to the ritzy side of vampire life. From what I understand, there are vampires in New York who battle against the Nephiilim and against Lucifer as well. Vampires have the option to take a human as a companion (“a familiar”) and they are organized into a coven. This coven has been celebrating rather a peaceful time since they destroyed a Nephilim “hive”. The vampire leader, Oliver, is so pleased with the reinstatement of the coven that he has decided to throw a Four Hundred Year Ball. All of the vampires are invited, but there is a bit of a problem. Young girls are disappearing and the pentagram symbol is showing up all over town. Who could be doing this is a mystery that needs to be solved by the crime stoppers of the coven. But can they find out in time to prevent the ball from being ruined and Oliver’s reign being destroyed? I liked Vampires of Manhattan and I think that De La Cruz did an admirable job of introducing the characters in a way that made sense and that enabled me to keep them straight. Not an easy task, since there are a lot of characters in this one! In addition, she told me enough about each character that I cared about them and understood where they fit in the dynamics of this world. 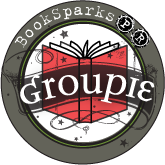 The story lines were thrilling—with unexpected hook-ups, twists, and turns. What De La Cruz does well is write some angst. Love and all its pain was front and center here. I cannot fault the author for me not having read her other books. However, I know I would have enjoyed this book even more had I known exactly who the Blue Bloods were. While it is clear that this is not a book for children (mature themes and sexual situations), it would be quite enjoyable for teens that read The Blue Bloods books and are now ready to graduate to more adult themes.